King Fish or Seer Fish is called as Vanjaram Meen in Tamil and Telugu. Vanjaram Meen Varuval is a spicy and tasty recipe blend with Coriander leaves and curry leaves will give delicious taste to this recipe, these two are the extra ingredients I used for this Fish Fry. 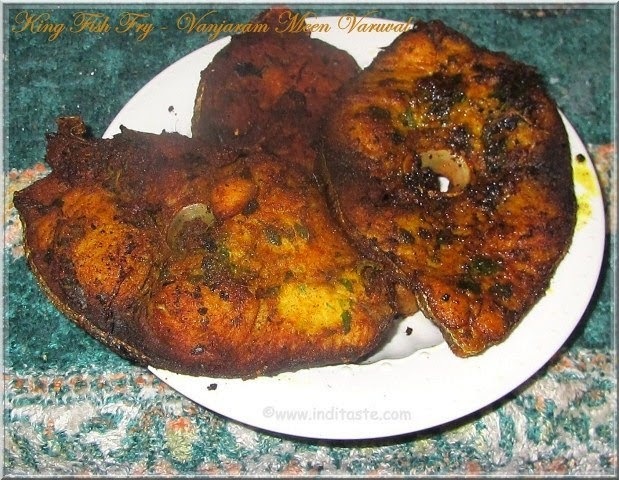 Let us see how to make Vanjaram Fish Fry. Vanjaram Meen - 1/2 Kg. Red chilli powder - 2 tbsp. Coriander leaves - 1/4 cup. Curry leaves - 1 Strand. Clean and wash the thin sliced fish and keep it aside. Marinate the fish With red chilly powder, Turmeric powder, Lemon Juice and salt. Grind the above mentioned ingredients and add the grinded paste with the fish. Refrigerate the marinated Fish for 30 minutes. After 30 minutes, In a Fry pan heat enough Oil for fry. 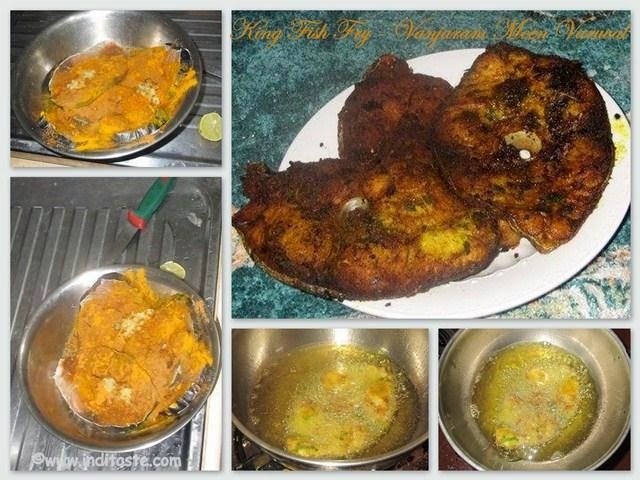 Place the fish pieces in a pan and cook the fish pieces in medium flame on both sides until became golden brown. Garnish with sliced Onions and Lemon. Vanjaram Meen Varuval or King Fish fry is ready for Serve. Optionally you can add 1 tsp. of Sambar powder or Coriander powder. Serve with Rice and Fish curry or Sambar for lunch. 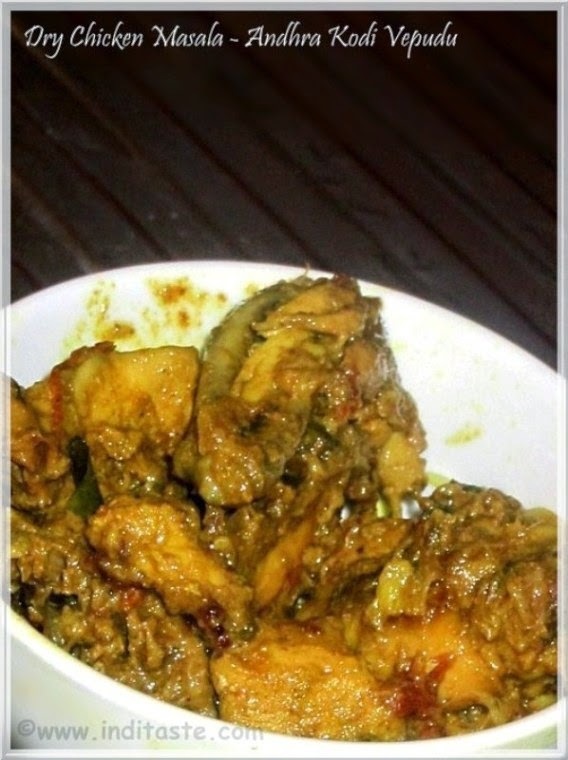 Dry Chicken Masala or Chicken Varuval is a wonderful South Indian recipe with different variations in different areas. 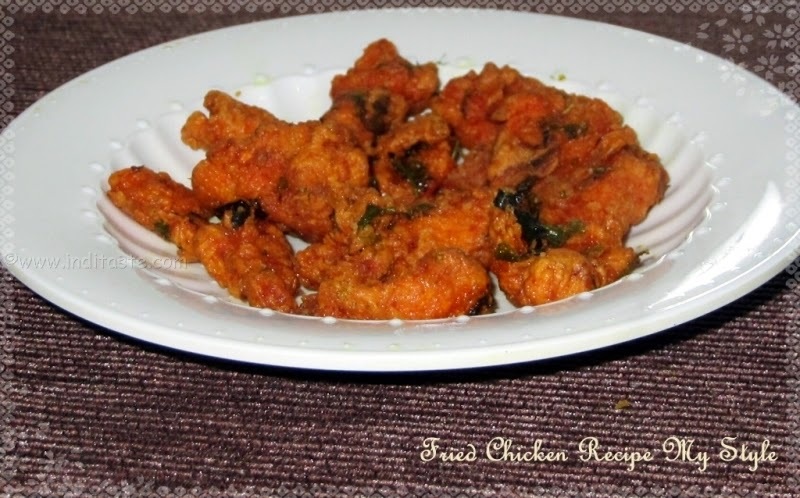 Here I have prepared Andhra style Chicken Varuval(fry) popularly known as Kodi Vepudu in Andhra. 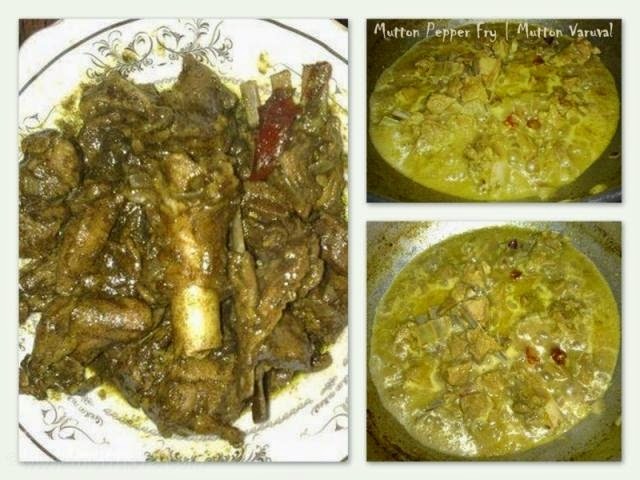 four years before first I saw this recipe in one TV show then I tried by myself and it was spicy and excellent in taste, nowadays I make it often because of its delicious taste. 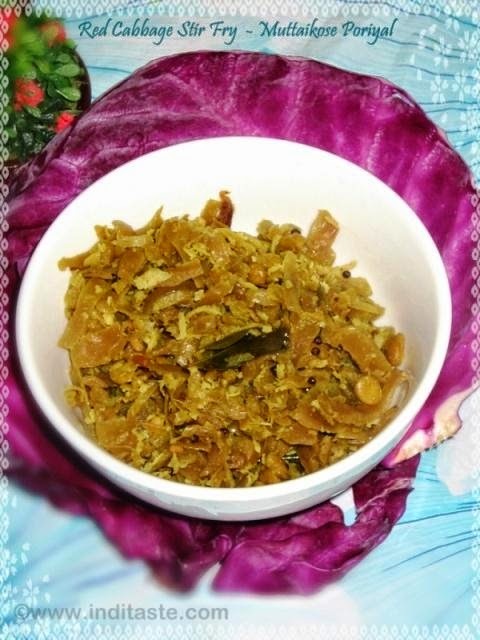 It is an excellent side dish for rice or roti. Wash and cut the Onion in lengthwise, chop the tomato. Finely chop the Coriander Leaves and Curry Leaves. In a mixing pan add all the Ingredients one by one and give a gentle mix, leave the marination for 30 minutes. Now take marinated Chicken put it into a pan, Switch on the stove and cook it in medium flame, after 10 minutes you will see the water leaving in sides. 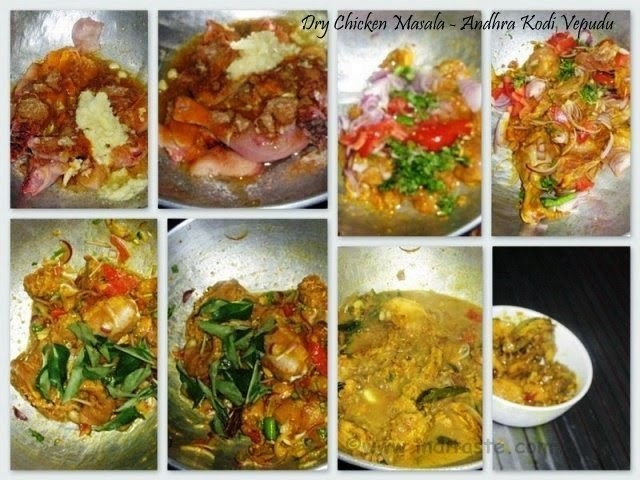 No need to add water for this recipe, Every 5 minutes give a stir to the Chicken, cook well. Chicken will cook quickly because we marinated it. In case the Chicken is stick to bottom, just sprinkle some water, don't add too much of water. While cooking Keep the flame in medium. Serve with any Rice varieties or Roti. 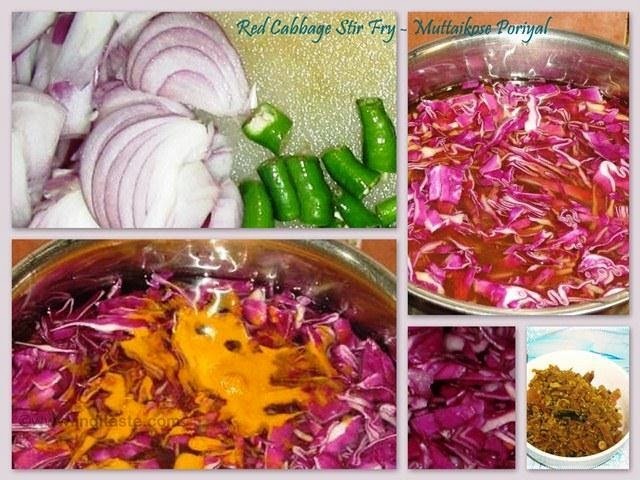 Red Cabbage Stir Fry or Muttaikose Poriyal is a simple and easy to make Recipe, normally I use green cabbage for our Tamil-Nadu style Cabbage Poriyal but this is the first time I tried red cabbage and it really tastes good. Difference between Red cabbage and Green cabbage is almost same but the health benefits in Red cabbage is slightly better than Green cabbage. Red Cabbage is rich in Vitamins, Minerals and acts as a antioxidants. It supports to improve the immune system of our body. according to me all the Cabbage varieties are healthy because they're rich in fiber and very low in calorie and high in nutrition. Take one medium size Red Cabbage, clean it and cut into small pieces. In a vessel add Cabbage, Channa dhal and Turmeric powder boil until Channa dhal cooked. Drain the water and keep it aside. 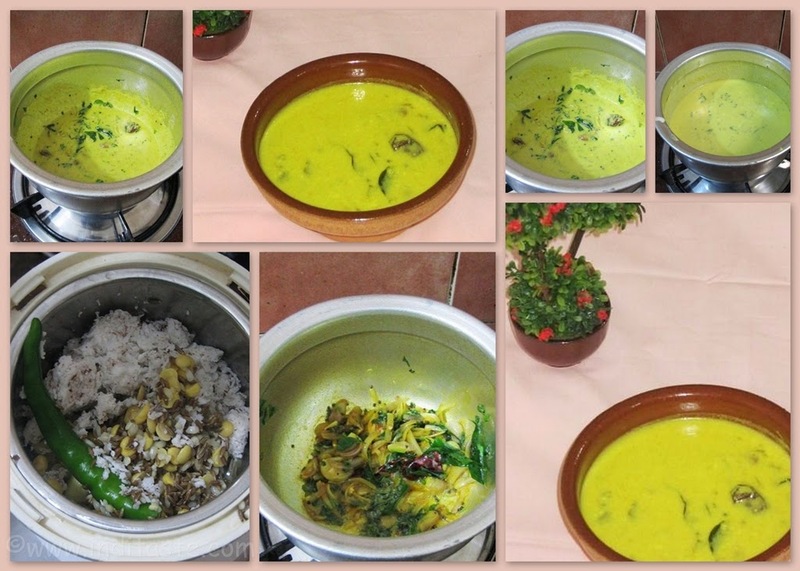 In a Pan add Oil and heat it, when the oil became hot add Mustard seeds, spitted urad dhal and curry leaves. After spluttering add the finely chopped Onion, dry red chilies, chopped green chilies, Fry till the Onion became transparent. Then add the boiled Cabbage and salt and saute for few seconds. Add the grated Coconut and close the pan for 2 minutes in low flame. Red Cabbage Stir Fry is ready to Serve. Instead of Red cabbage You can use any cabbage varieties for this fry. Serve with Rice and Sambar for lunch. Milk Halwa or Doodh ka Halwa is a simple and delicious Indian desert, It will take only 10 minutes to prepare it using Microwave. 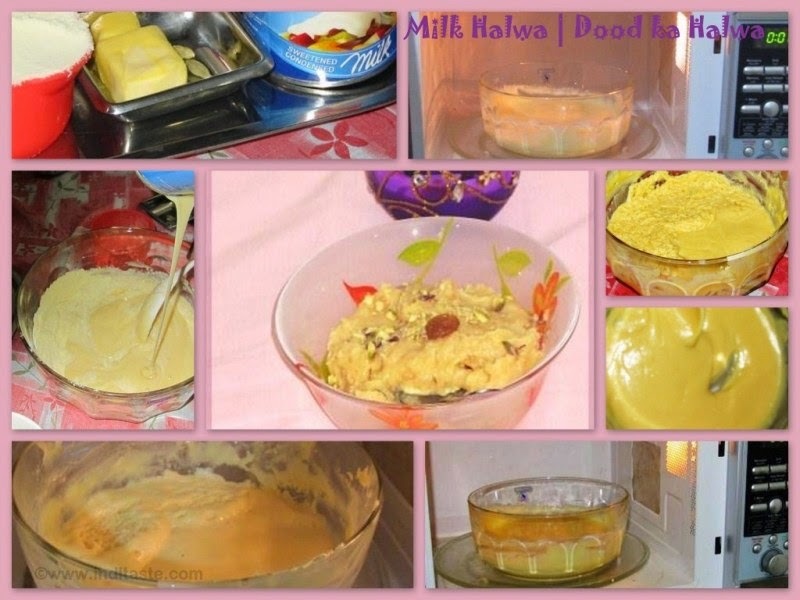 This is my first post for Halwa Recipes, Let us see how to make Milk Halwa using Microwave Oven. Take the Butter in a Microwave safe bowl, Melt the butter by keep it in microwave for 30 seconds. With the Melted Butter add Milk powder, Condensed Milk, Cardamom and mix it Well without any lumps. Place the bowl in the microwave oven for 4 minutes, for every one minute take the bowl out and give a mix to it. After 2 minutes, add Ghee and mix it well and microwave for further 2 minutes. After 2 minutes, take the bowl out and allow to cool. Garnish with Sliced Almonds, Pistachios and Cashews. Milk Halwa is ready to Serve. Don't forget to take the bowl out and give a mix to it for every one minute. As an option you can garnish with Saffron or Raisins also. 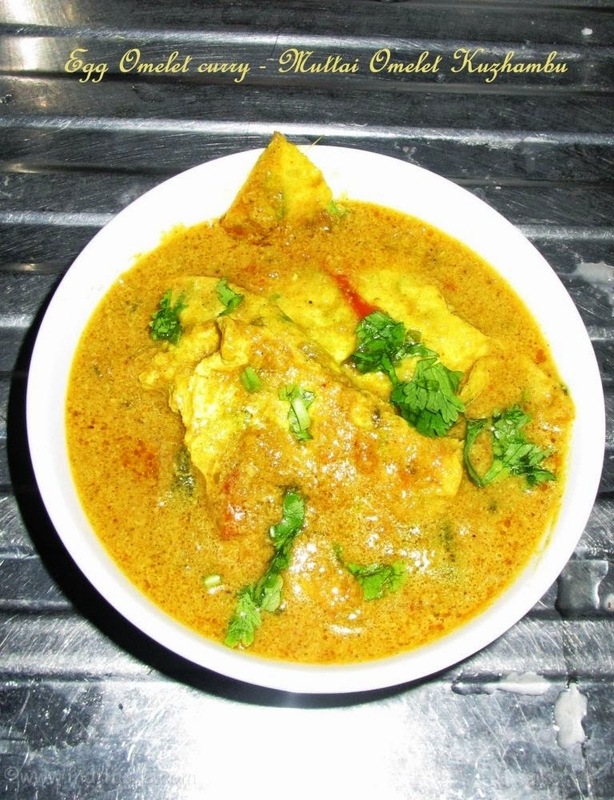 Egg Omelet is a very common recipe but Omelet in a Curry is sounds different. 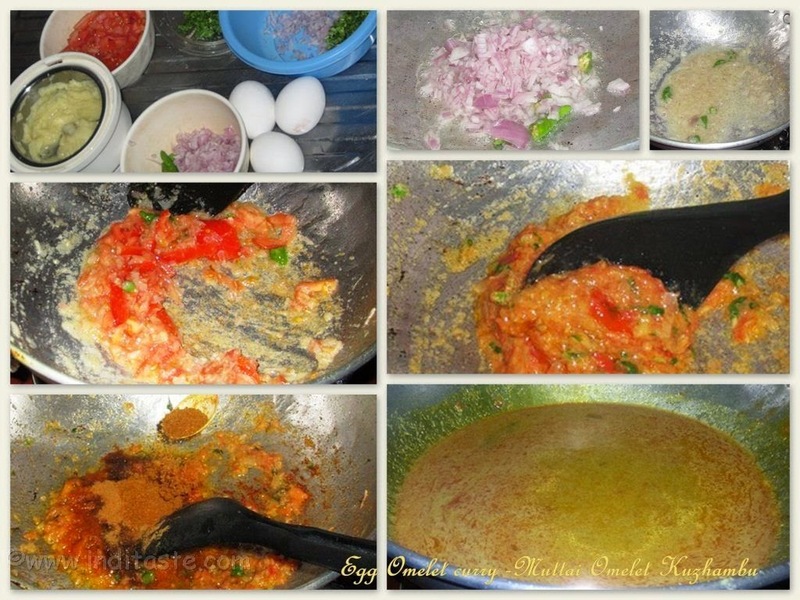 Egg Omelet curry or Muttai Omelette Kuzhambu is a yummy and simple to make recipe. 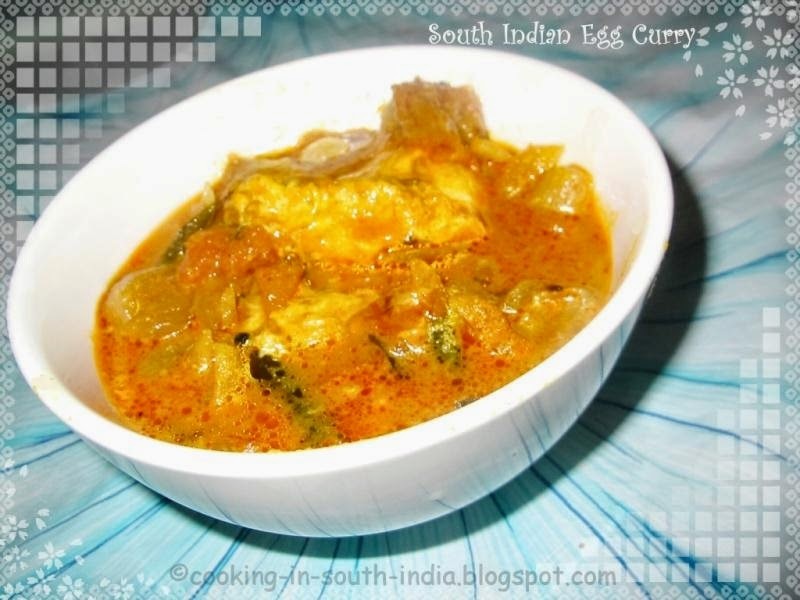 The combination of South Indian style curry with Egg Omelet gives delicious taste. 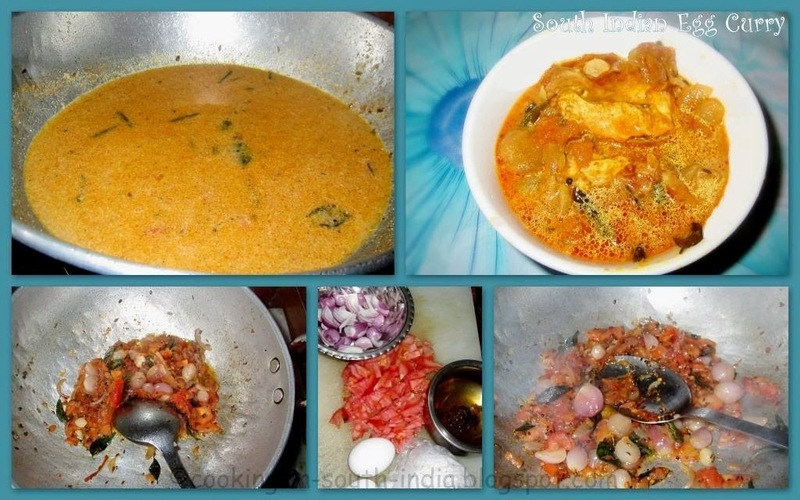 This curry serves as the main course and combine it with anything i.e. Rice, Roti, Idli, Dosa and Bread. 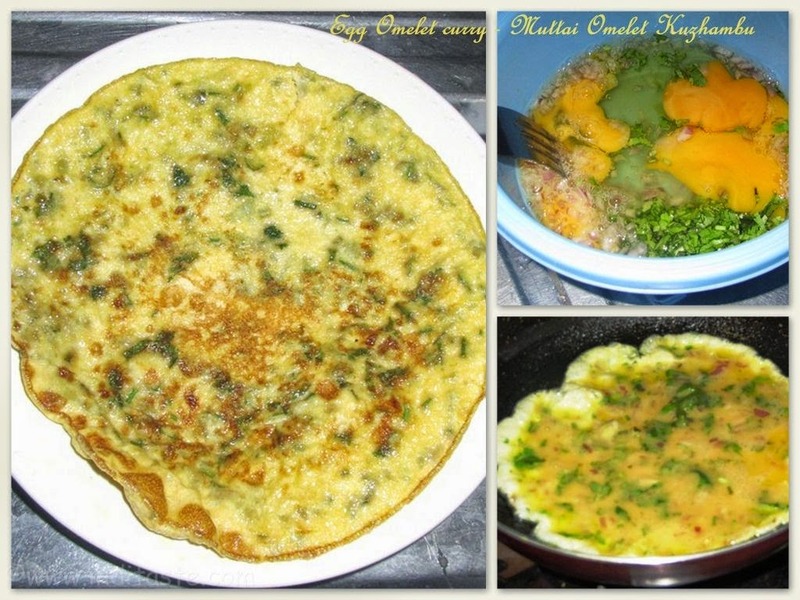 Let us see How to make Egg Omelet curry or Muttai Omelette Kuzhambu. In a bowl add the Egg, finely chopped Onion, Coriander leaves and Salt. Whisk the Eggs until well mixed. In a pan add oil and pour the beaten Eggs. Turn the omelet to cook it on another side. Cut the omelet into big pieces. Grind the Coconut and Cashew nuts. Now add the Omelet into the curry and Cook for 2 minutes without stirring much in low flame. You can keep this curry as base and Instead of Omlet you can add Paneer( Cottage Cheese ) or Mushroom or any Vegetables like Potato, Peas. Garnish with finely chopped coriander leaves and Serve Hot. Spicy Mutton Pepper Fry or Mutton Milagu Varuval is a simple and Easy to make Recipe, In this Recipe the two main Ingredients which gives Delicious taste and flavor are Black Pepper Powder and Sesame Oil. 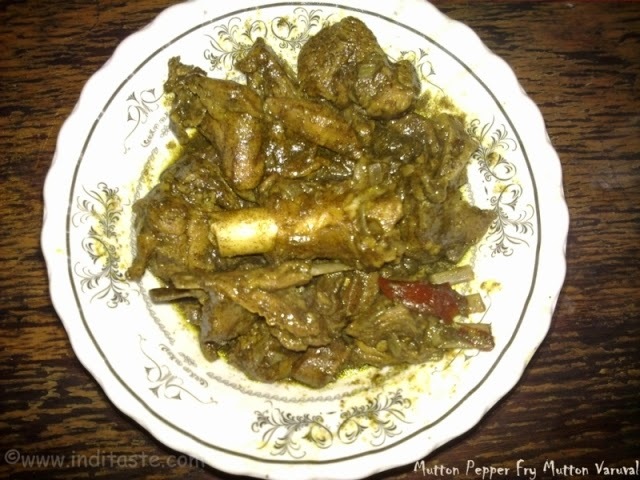 Mutton Pepper Fry is all time favorite for me and my husband, I make it often because of its mouthwatering taste. In South India, we use Sesame Oil(Nallennai) in many recipes, It is having lot of Health Benefits and It is a Natural Antioxidant. 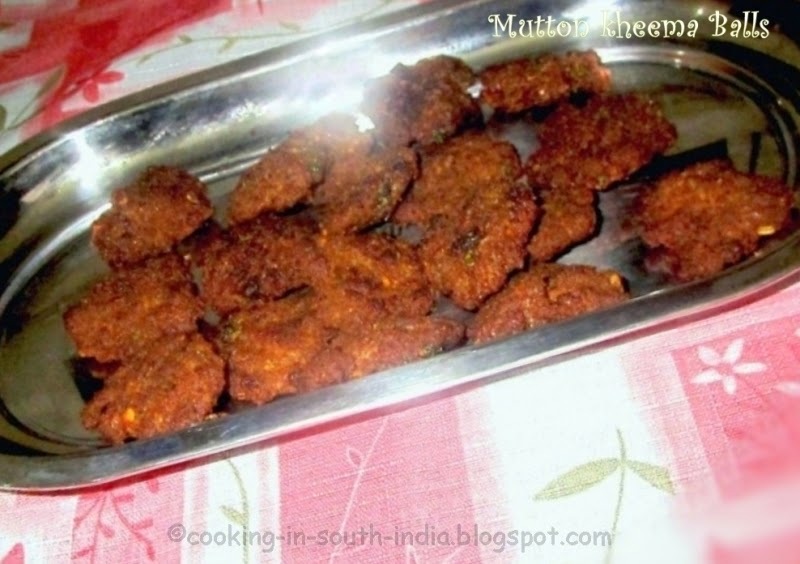 Yummy Mutton Pepper fry or Mutton Milagu varuval is ready for serve. Use only sesame oil for perfect taste. Perfect Side dish for Sambar or Dhal with Rice for lunch. 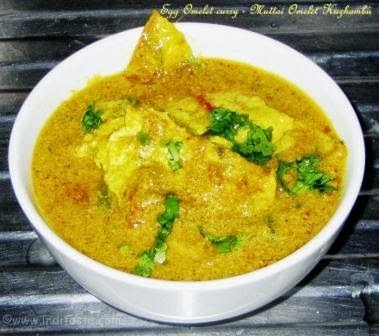 Buttermilk Curry - More Kuzhambu or Moar Kulambu is a simple and healthy recipe and popular in Tamil Nadu, Buttermilk is called as More or Moar in Tamil. 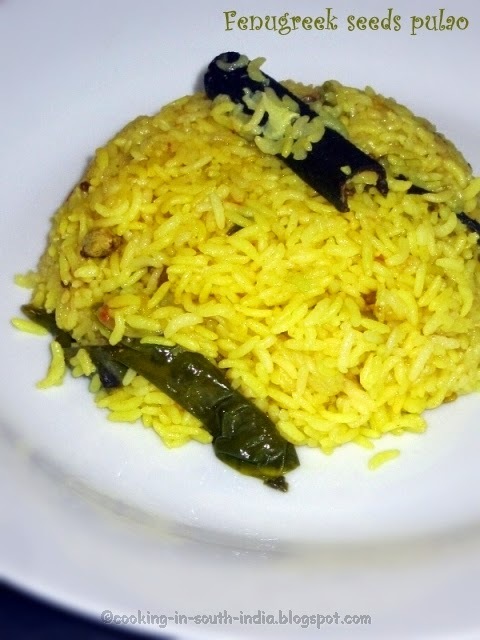 It is a traditional recipe of South India with different variations in different areas. Buttermilk blend with some Indian spices gives good aroma and taste, Let's see How to make More Kuzhambu. Soak the Rice, Toor dhal and Chana dhal for 15 minutes. In a mixer grinder add the soaked Rice, Toor dhal, Channa dhal, Cumin seeds, Grated coconut and Green chilly grind into fine paste. In kadai(pan) add the Oil when the oil is hot add the Mustard seeds, Urad dhal, while spluttering add the Hing and curry leaves. Then add the chopped Onion and ginger fry it well. Add the Grinded paste mix it well. Finally add the Buttermilk mix it well and switch off the stove. 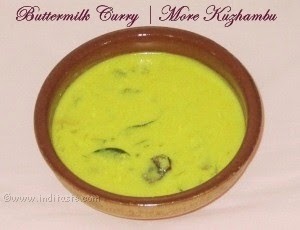 Buttermilk Curry - More Kuzhambu is ready for serve. Before adding the paste you can add Boiled Bottle-guard, white Pumpkin. You can also add Okra(Ladies Finger) fry it in oil and add it. Instead of Buttermilk you can use Yogurt diluted with water. Serve with Rice for lunch with some Pappads and Pickles . 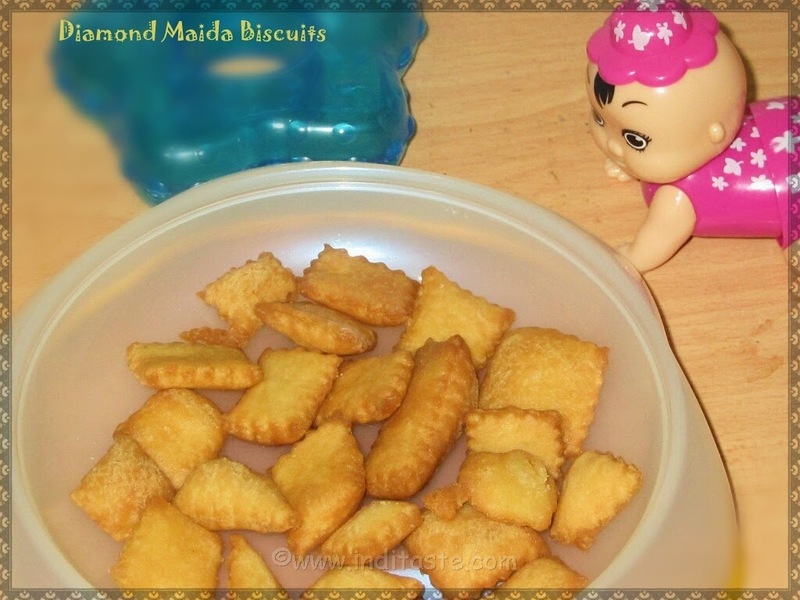 Crunchy Diamond Cut Biscuits or Sweet Maida Biscuits is a popular and Easy Indian Snack. 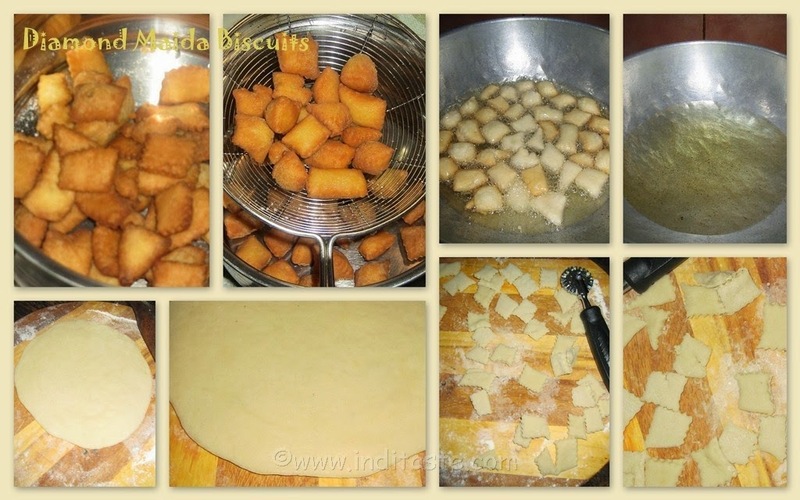 which is actually Diamond shaped deep fried biscuit not oven made biscuits. 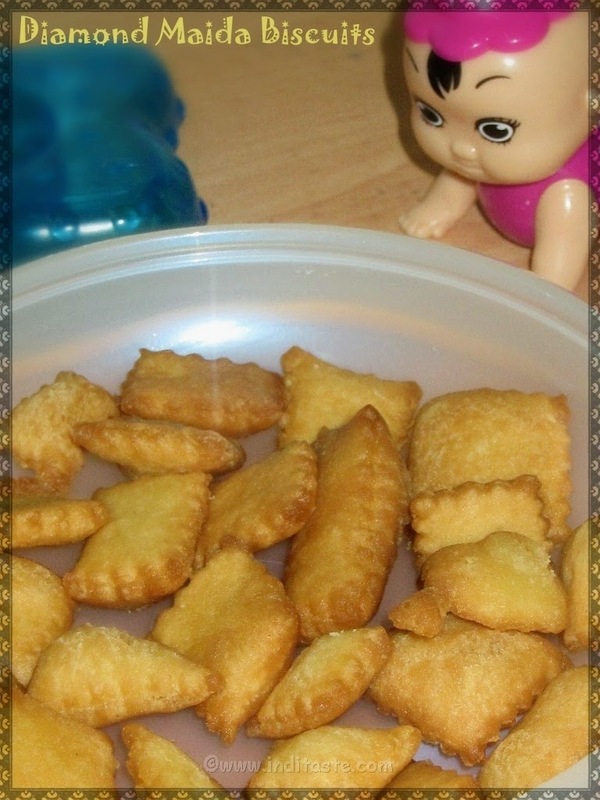 This biscuits are Soft in inside and Crunchy in outside gives delicious taste, Kids love to eat this biscuits as a evening Tea time snack, Of-course I also, I remember my childhood days, I have eaten this biscuits often made by my mother. In a mixing bowl add Maida, salt and sugar and mix well. Melt the Ghee and add with the mixture. Knead the dough and divide into small portions. Take a small ball like dough portion and Roll it flat with a rolling pin. Cut into diamond shape using special shape Cutter or Pizza cutter or Knife. Immerse it into the hot oil. Deep fry until become golden brown. Let it cool before serve. 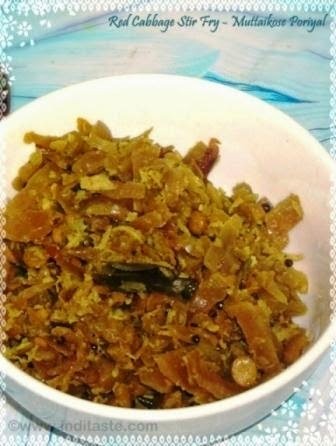 Instead of Ghee you can use Dalda (Vegetable shortening). Store it in a air tight container and the biscuits remain fresh for a week. 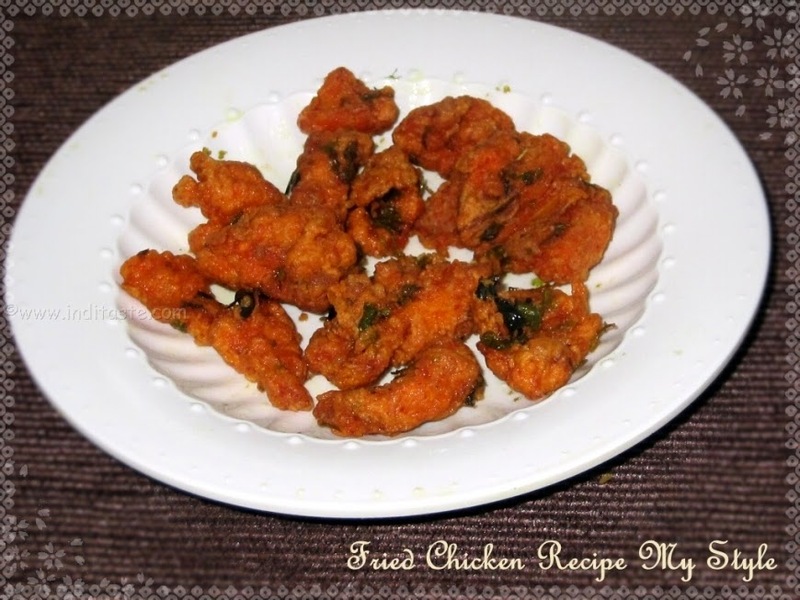 Serve as a evening Tea time snack..
Fried Chicken is a Delicious Recipe, I love to Taste Fried Chicken and it is one of my all time favorites, I have prepared the Fried Chicken Recipe in my style with some Indian Spices and herbs, I have tried it as an experiment with the inspiration of Fried Chicken and it comes well with unique taste. Try it and give your comments. 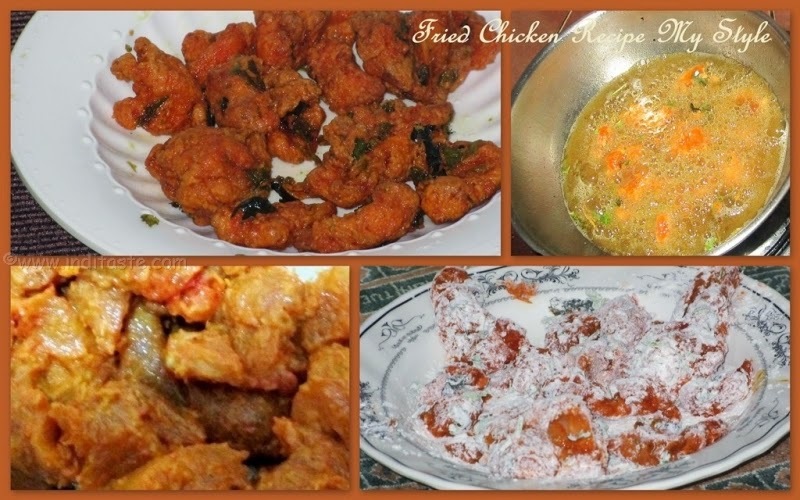 Let us see How to Make Fried Chicken Recipe in My Style. Red chilli powder - 3 tsp. Garam masala powder -1 tbsp. All purpose flour - 2 tbsp. Lemon juice - 2 tsp. Ginger Garlic paste - 2 tbsp. Onion paste - 3 tbsp. Red Food color - Pinch (optional). Coriander leaves - 1/2 cup. Curry leaves - 1/4 cup. Red chilly powder a pinch. Garam masala powder a pinch. Cut the Chicken into small pieces and remove the excess of fats. Marinate the chicken with the above mentioned ingredients for Marinating. Refrigerate the marinated chicken for 30 minutes. For coating mix a cup of all purpose flour with a pinch of red Chilli powder, Garam masala, finely chopped Coriander leaves, Curry leaves and Cumin seeds. In a bowl crack an egg and beat it well. Let it rest for 10 to 15 minutes. In a deep bottomed fry pan add enough oil for fry, when the oil become hot add the Chicken pieces. Deep fry the Chicken until became golden color. You can avoid Curry leaves if you don't like. Serve hot with French Fries, Garlic Sauce and Tomato Ketchup. 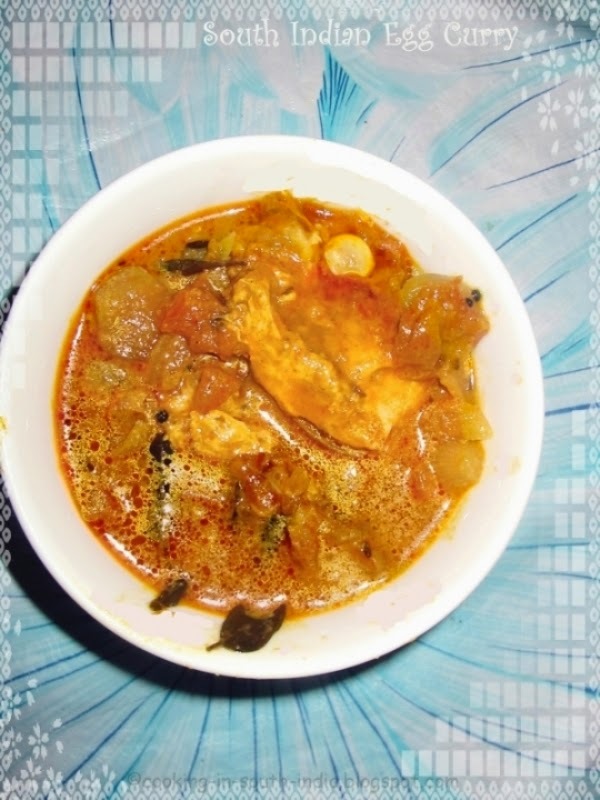 Muttai Puli Kulambu (Kuzhambu) or Egg Curry is a popular recipe in South Indian which is a good combination for rice in lunch time, There is different variations in Preparation of this recipe, This type I learned from my Mother-in-law, The combination of Sour and spicy gives mouthwatering taste. Grind the grated coconut into paste. After spluttering add the big Onion lengthwise chopped, Small Onion's, chopped Tomato, Curry leaves and Astofodia/Perungayam. Add chopped coriander leaves mix well. leave the curry to boil for 10 min. crack the Egg one by one pour it into the curry carefully, simmer the stove for 5 min to cook the Eggs. 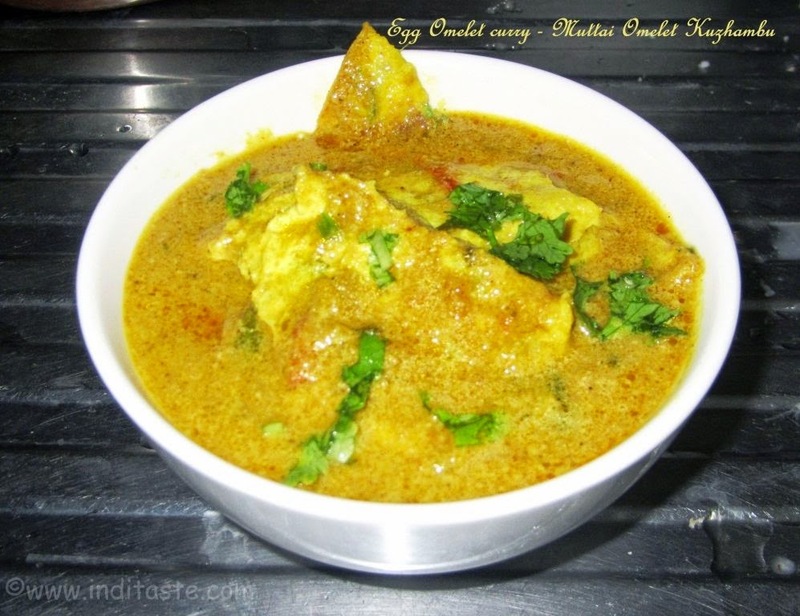 Tasty Egg Curry Recipe / Muttai Puli Kulambhu is ready, Serve hot with rice for Lunch. Add the Eggs carefully otherwise the eggs will be spread with curry. Serve hot with White Rice for Lunch. 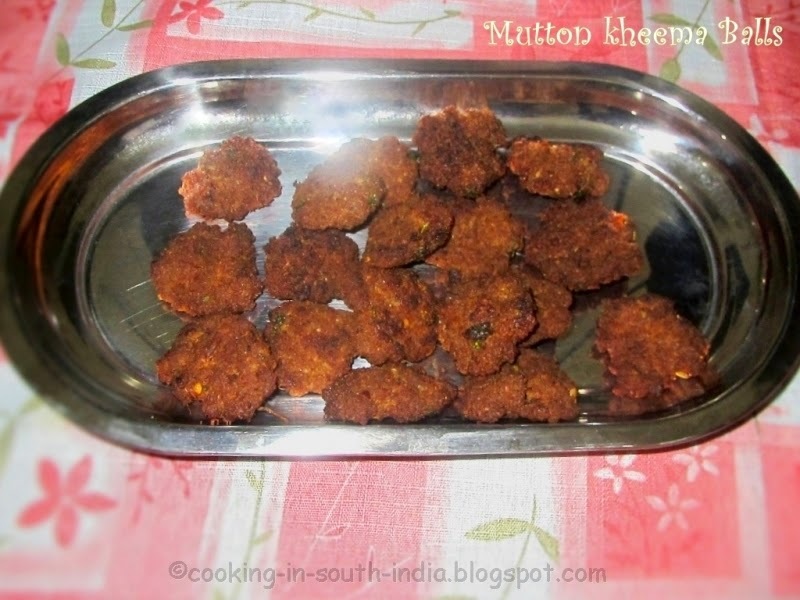 Mutton keema balls or Kola urundai is a wonderful South-Indian-spiced grounded Mutton recipe is most common in Tamil Nadu, deep fried Mutton keema balls gives delicious taste and goes well as a side-dish for lunch even can be serve as a Appetizer. usually we use to cook it in small ball shape but my kid likes to eat when it's thin and crispy so I make it like a flat vada(Vadai). Try this recipe and it will be one of your favorites. wash the mutton and drain the excess water well. in mixer grinder add the chopped ginger, garlic, fennel seeds, dry red chilly, cloves, cardamom, cinnamon stick, roasted chickpeas, grated coconut, chopped small onions and green chillies grind it into nice paste. Now add mutton and salt into the mixer grinder and give one pulse. Transfer the mutton into a mixing bowl. 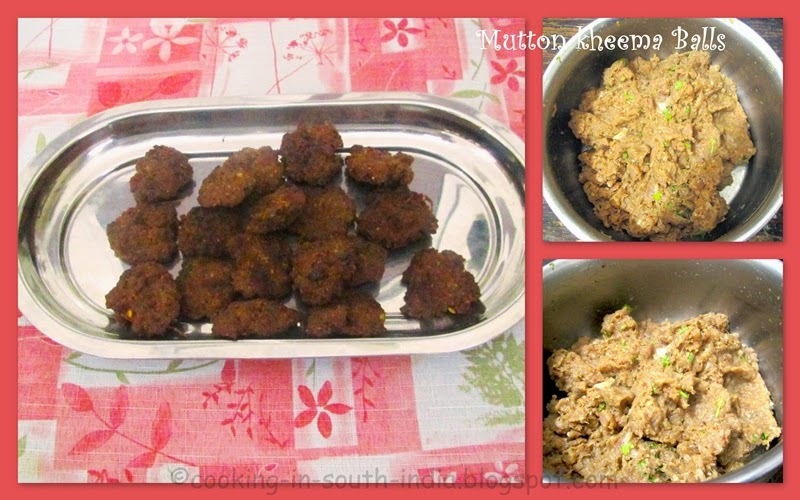 In a frying pan add oil, when the oil is hot make the mutton keema into small balls and deep fry it. Minced Mutton blends with Indian spices will tempt us to eat more. Serve as a side-dish for lunch even can be serve as a appetizer for evening snack time. It will give wonderful feeling while tasting at the time of rainy or winter seasons. Don't add excess of water just sprinkle it while mixing, otherwise it will take more oil for frying. If excess water then add some amount of chickpeas powder. 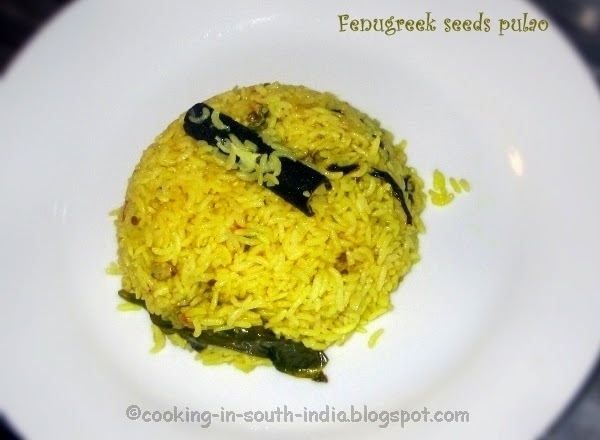 Fenugreek seeds pulao Rice is a popular Lunch recipe of Tamil people in South India we call it as Vendhiya Saadam in Tamil, I learned it from both my mother and mother-in-law both of them prepare it quite often and it's yummy and tasty. Any Veg. 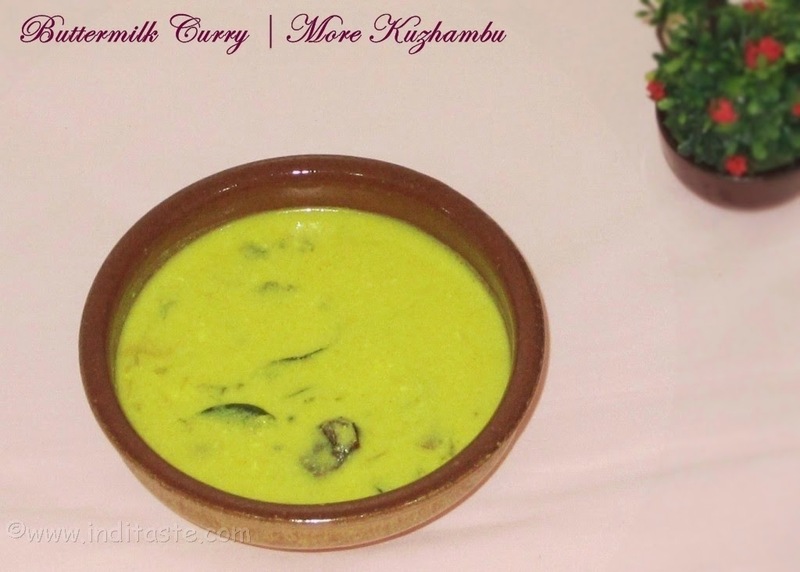 curry or Mutton Korma is a good combination for Fenugreek seeds pulao Rice. Fenugreek seeds are good for health, In India we use it for medicine. Wash and soak the rice for 30 min. In a cooker add Oil when the oil became hot then add Cinnamon and Cardamom and fry until the raw smell goes. Add Cloves and Fenugreek seeds while the Fenugreek seeds spluttering you will feel the aroma of Fenugreek Seeds. Then add the Onion and Chopped Garlic fry until Onion became transparent. Add Green Chilli, Chopped Coriander and Pudhina(mint) leaves, Chopped Tomato and Turmeric powder fry until the raw smell goes. Then add 2 cups of water, Rice, Ghee and Salt. Close the lid and give 2 whistle Fenugreek seeds Pulao is ready. 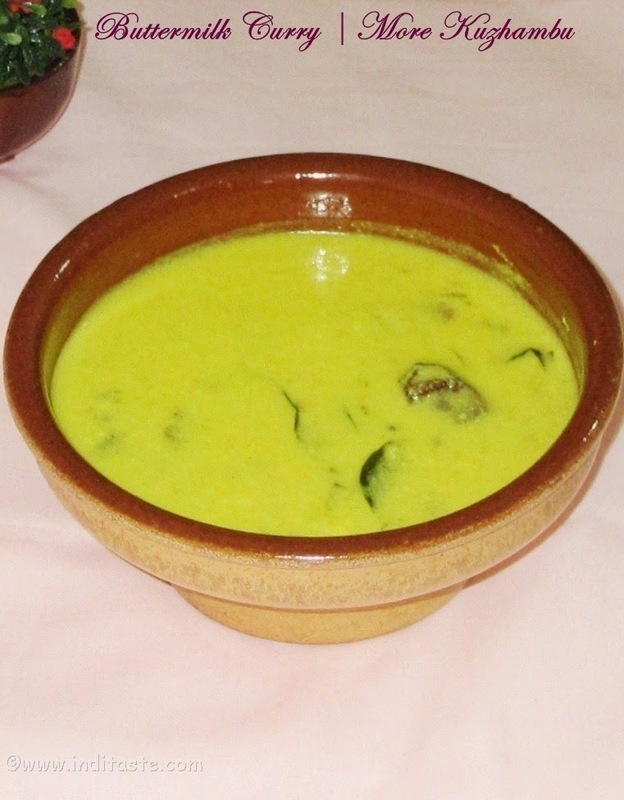 Serve hot with Any Veg curry or Mutton Korma or even with Raita. 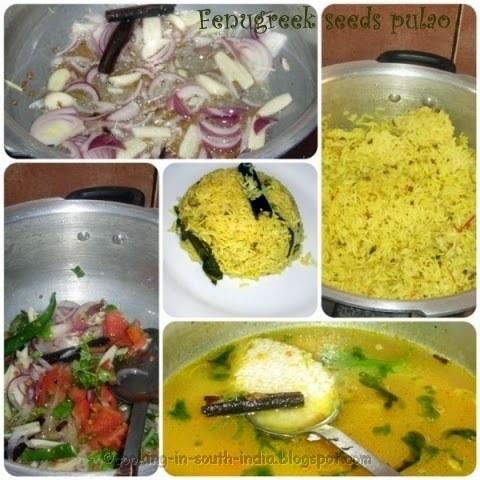 Don't burnt Fenugreek seeds while frying, then your Pulao will be spoiled . 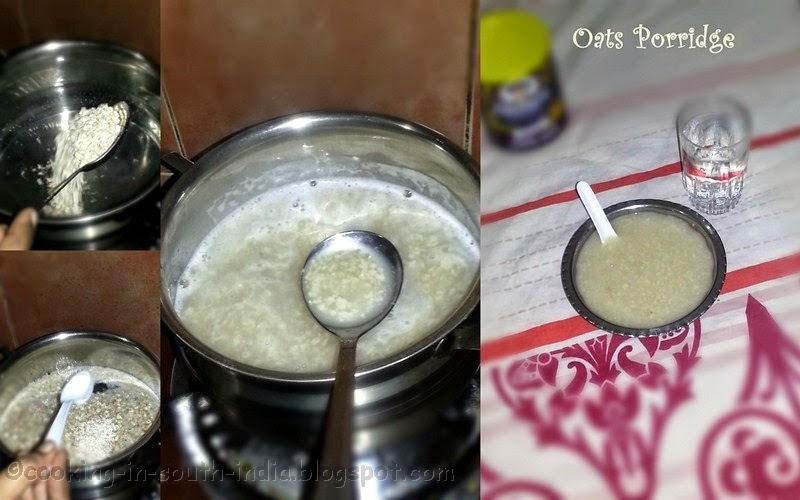 Oats Porridge is a simple and easy to make Breakfast recipe, which is healthy and nutritious. Oats is rich in fiber which help in Weight Loss. Oats can also helps in lower the cholesterol levels. there are sweet and salt versions, here I prepared salt version of Oats Porridge. 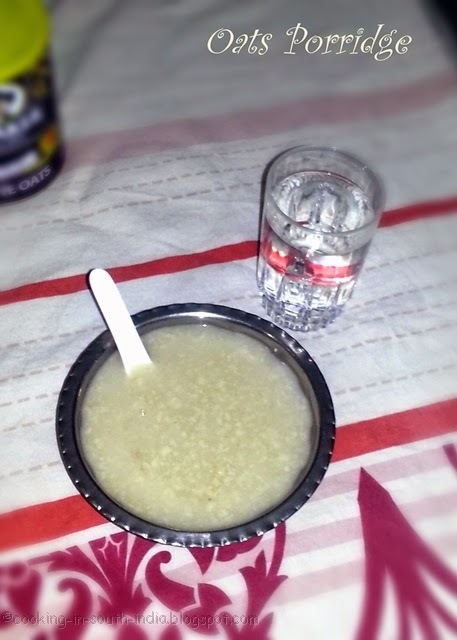 let us see how to make Oats Porridge or Oats Kanji (Tamil) Recipe. Boil the water in a deep bottomed pan. After water get boiled, add the oats and stir it well. Add the salt and cook well for five minutes . add the Buttermilk before serve. 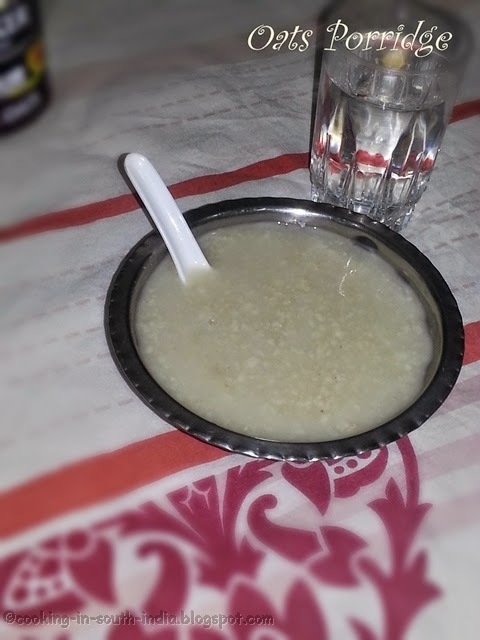 pour the Oats Porridge in a bowl and Serve with raw Onions and Pickles or any Vegetable salad or even with any chutney's . Instead of Buttermilk and salt you can add milk and sugar(Jaggery) . 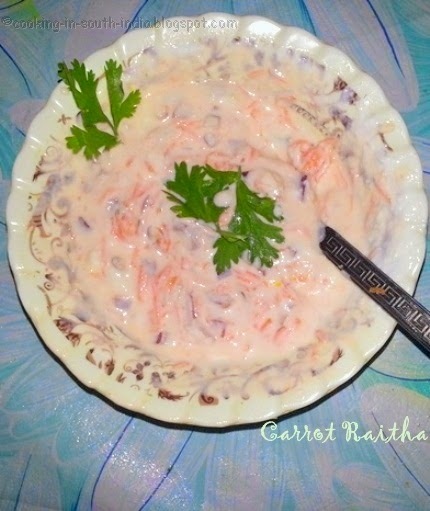 Raita or Raitha is a popular and healthy Indian salad recipe with Yogurt(Curd or Thair or Dahi) and Vegetables like Carrot, Cucumber, Tomato even with Cabbage or Spinach and flavored with variety of seasonings to make different types of Raita's. Raita is a very good side-dish for Biryani, Pulao, or even with Chapathi or Paratha. 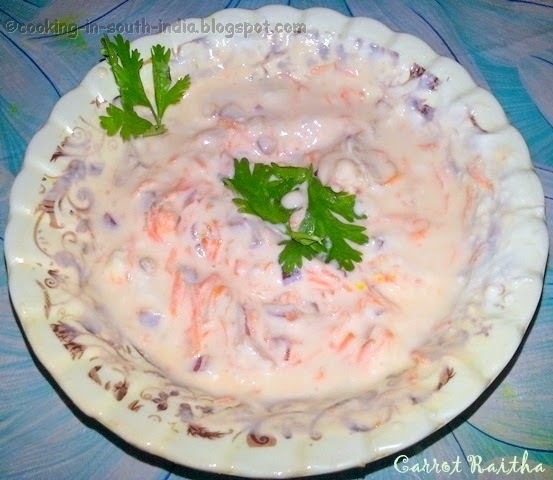 Instead of vegetables we can make Fruits Raita by using fruits like Pomegranate, Grapes, Mango, Dates or Pineapple which gives sweet and sour taste, Let us see how to make Carrot Raita. Take the Carrot and Peel off the skin then grate the Carrot. Take the Yogurt in a Bowl and beat well, Keep aside. Cut the Onions in Lengthwise or finely chopped. Finely Chop the Coriander leaves and Green Chillies. Add all the above vegetables with the Yogurt then Add some salt and mix well. Serve as a side-dish with any Rice variety or with any Spicy Gravy for Roti or Paratha. If you do not like raw carrots then Par-boil the carrots for 1 minute, squeeze the water out and add into the yogurt. If you like this post, I would be extremely happy if you can give your comments or share it with your friends in Google+, Facebook or Twitter. Your comments would be helpful to me to improve the recipe and keep me motivated. 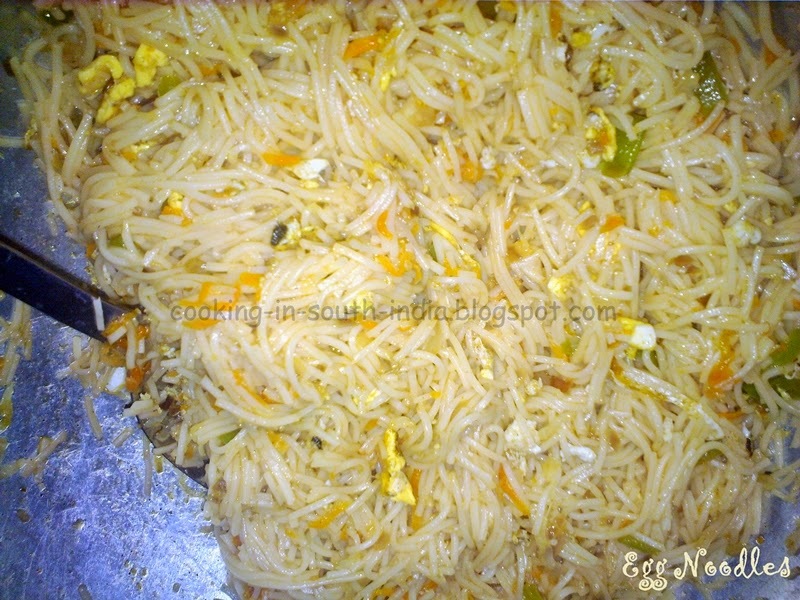 Noodles Recipe is very popular and easy to cook dish. 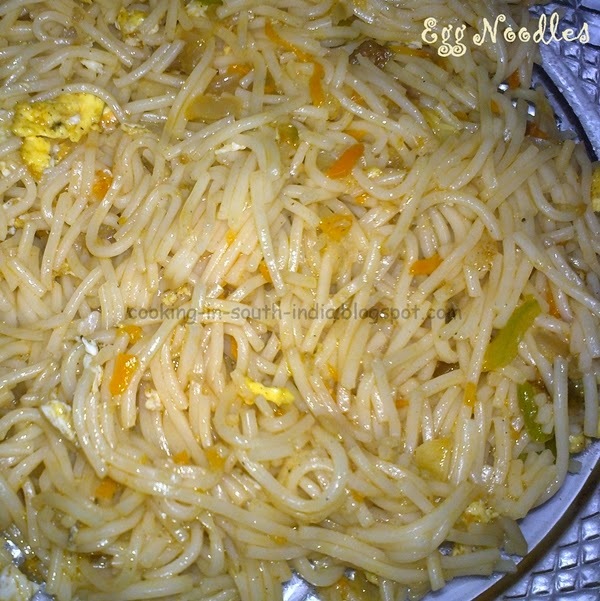 Today I will show you how to make Tasty Egg noodles with mixed Vegetables in my Style. Then Add Soya Sauce and coriander leaves Mix everything well. Crack the eggs and pour it into a cup and add a pinch of salt and slightly mix it. 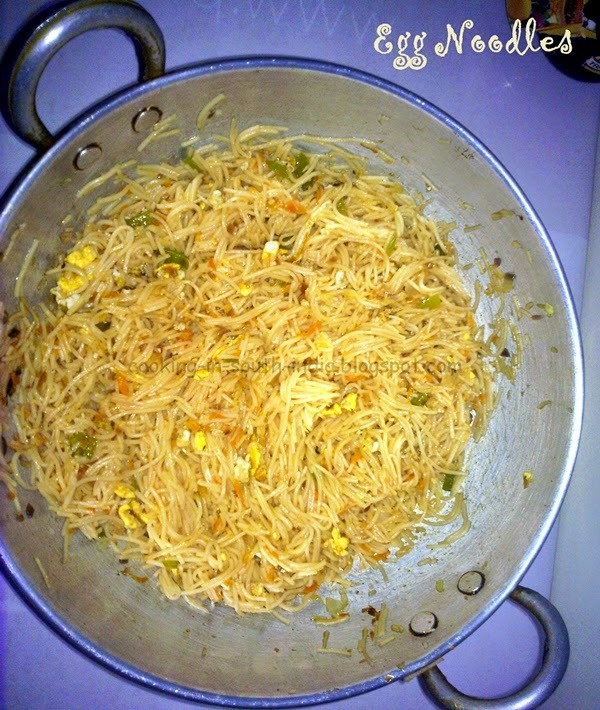 When the egg cooked well then add and mix well with the Noodles. The Vegetables can be of your choice. Aloo Paratha is a north Indian breakfast recipe particularly very famous in Punjab region both in India and Pakistan. 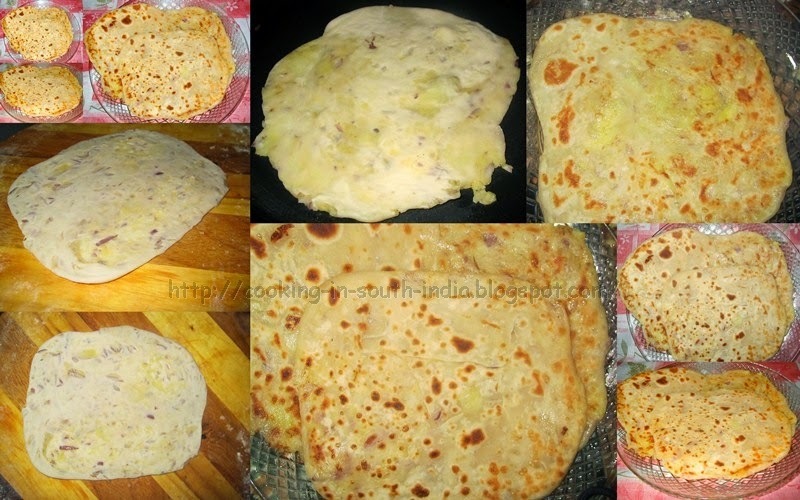 Aloo Paratha can be made in many different variations here I have tried in my style by using Maida (All Purpose flour) instead of wheat flour. Add the salt and water with the Flour and mix well and make a semi-soft dough then add Oil and mix well until the dough becomes soft and Keep aside. Boil the potatoes and mash the potatoes. Add the chopped onion, coriander leaves, chilli powder, garam masala, salt and ghee. Mix the potatoes with the above ingredients well and keep aside. Divide the prepared filling it into small balls. Knead the dough and divide into 5 portions. Take one portion of dough and roll it flat as thin as possible with a rolling pin by dusting with some flour. Take a small ball like Aloo Filling and place one portion of the filling in the center of the dough. Close all the sides and seal tightly with dough. Roll it flat again with a rolling pin by dusting with some flour. In a hot flat pan, cook the paratha both sides by sprinkling some oil or ghee until both sides are golden brown, repeat this for the remaining dough to make more parathas. Aloo Paratha is ready for eat, Serve hot.